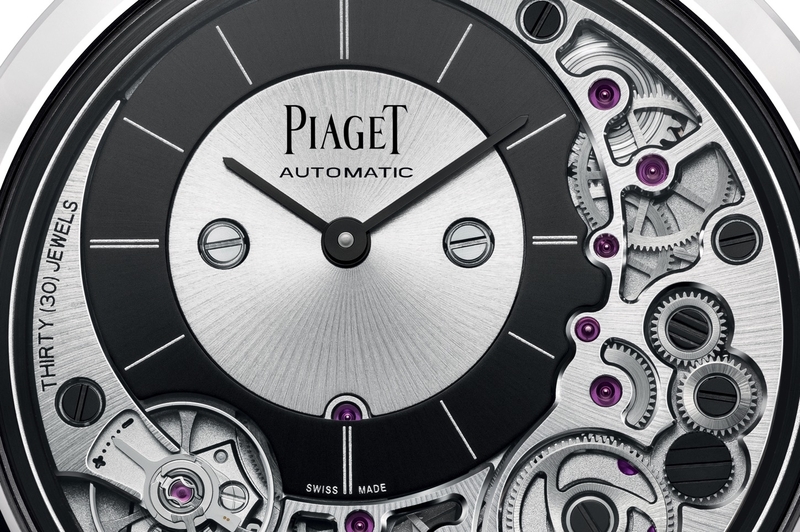 This is Piaget’s new Ultra-Thin Minute Repeater that will be officially announced next month at SIHH. Housed in a record-breaking ultra-thin (9.4 mm) Emperador Coussin case, and powered by a super thin mechanical movement (4.8 ) — this is both world’s thinnest mechanical minute repeater movement and timepiece. The Piaget Emperador Coussin Ultra-Thin Minute Repeater (caliber 1290P) is an in-house self-winding manufacture movement with 407 components, 44 jewels, a rate of 21,600 vph (3Hz), and a 40-hour power reserve. 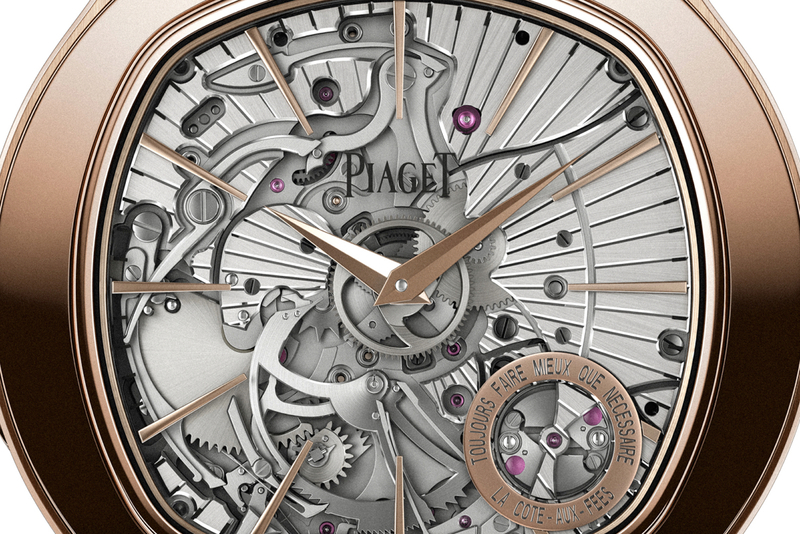 A sapphire case-back that allows a view of the superb finishing on the back: circular Côtes-de-Genève, bridges hand-bevelled and hand-drawn with a file, sunburst satin-brushed wheels, pink gold-toned platinum oscillating weight engraved with the Piaget coat-of-arms, pink gold and rhodium plated polished screws, “P” fixed to the regulator assembly as Piaget signature. 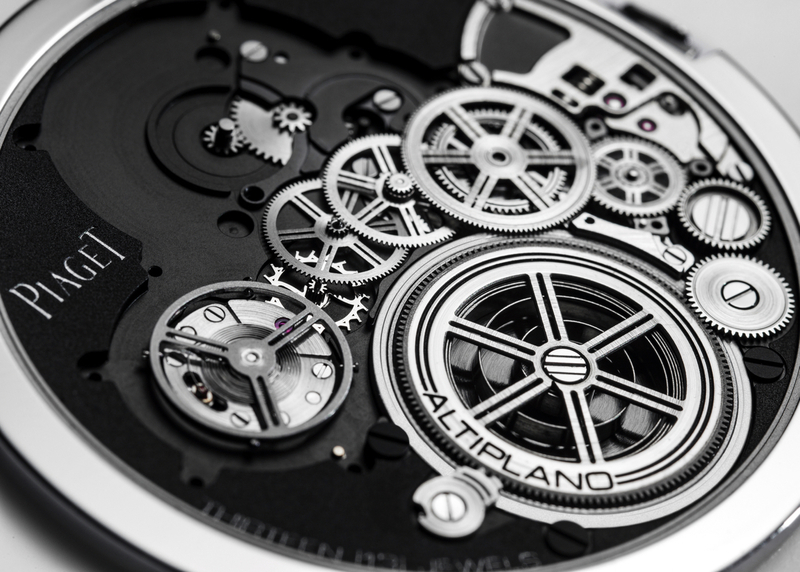 The dial is sapphire and allows a view into the inner workings of the movement. Gold hour and minute hands; and hour markers applied to the sapphire dial. Like the movement side, the finishing on the dial side is superb: sunburst satin-brushed and guilloche main plate, hand-bevelled and hand-drawn with a file, sunburst or circular satin-brushed steel components hand- bevelled and hand-drawn with a file, blackened and polished screws. 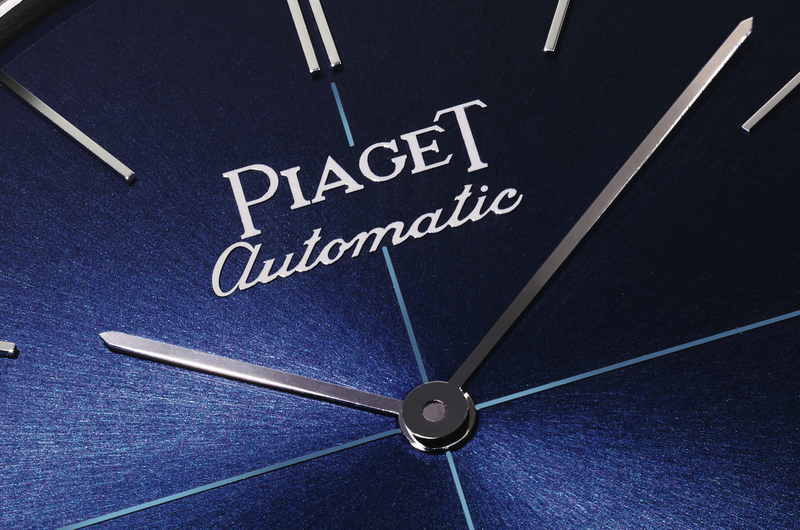 Even with all the complexity of this creation, and the need to focus on thinness and sound quality, Piaget still managed to equip the movement with a special device that ensures an optimal hour jump at the end of the 59th minute so as to guarantee the striking mechanism indicates the exact time to the nearest second. Brown alligator strap and 18K pink gold folding clasp. Water-resistance is 20 meters.